Do you know that you can raise a million dollars for your blog today? Does your blog have what it takes to raise a million dollars? If I provide you a step by step action plan for raising a million dollars, will you be willing to implement it? If your answer is yes; then read on. Most people are now used to hearing the news of blogs that sold out for thousands and millions of dollars; but most people never hear of blogs that raised millions without selling out. Yes, you can raise money for your blog without selling out or giving up control of your blog. Do you want to know how? Then keep reading. Few months ago, the media was filled with the news of how Arianna Huffington was in the process of raising millions of dollars for her blog; Huffington Post. The deal attracted so much attention that even Jeremy Shoemaker said he has been inspired to consider doing the same for his own blogs. Now regardless of whether you need to raise funds or not, you definitely need to read this article because even if you don’t need cash today; you might need it tomorrow for expansion or whatsoever. As at the time of writing this, I am in the process of raising capital for one of my blogs. Though I am under legal obligations not to reveal the details of the deal, I will do my best to share with you the process it took me to get to where I am today. Why do you want to Raise Money for your Blog? The first step to raising capital is to ask yourself why you need the money. Are you raising money just to cash out from your blog? Or you are raising money to pursue an expansion plan? Or are you raising capital for the sake of striking strategic partnership? Regardless of your reason, you need to answer this question because investors would want to know what you intend to do with the money? Does your blog have what it takes to raise the needed capital? Is your blog a business or a job? If you are a sole blogger; then you are not going to get much attention from investors. But if your blog can run without your input or presence, then you can get as much money as you want. Take Problogger.net for instance, it now runs without the direct supervision of Darren Rowse. It’s now being operated by a team of web developers, writers, guest writers and editors. Before trying to raise capital for your blog, you should make sure your blog daily operation is off your neck. Another thing to take into consideration is your blog profitability. How profitable is your blog? What’s your blog monetization strategy? Is your revenue stable? Does your blog serve a broad or narrow niche? Is your blog an authority blog or an underdog? Is your niche a growing trend or a declining one? These are some of the questions you need to answer before starting the process of raising money for your blog. 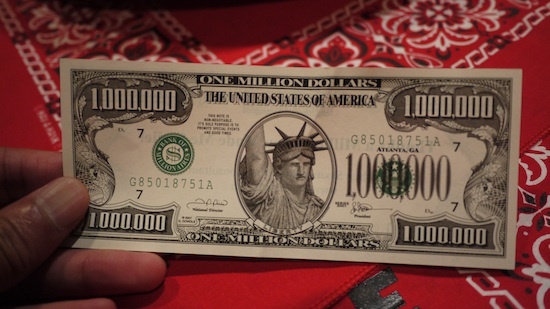 Do you have what it takes to raise a million dollars for your blog? Have you seen good blog business models that failed to make money? Have you seen blogs with high traffic and subscribers, yet; the blog is unprofitable? Well, I bet your answer is yes. The problem of most blogs is not the blog; and it’s not all about the tools. It is all about the person behind the blog or business. If a dullard is at the helm of affairs of a profitable business model; that business is bound to crumble. Sometimes, investors invest in personality; not the business. So how do you boost your chances of cashing out from your blog? How do you increase your chances of raising the needed capital? The first and probably the most important criteria to raising or money for your blog is your credibility. Call it your track record and you won’t be wrong. Who are you? Who are your partners? How credible are you? Who have you successfully done business with in the past? How much have you raised or borrowed in the past? What’s your credit rating? How many successful blogs have you built in the past? These are the type of questions investors go all out to find answers to. The more positive your records are, the more likely you will get the cash you need. Investors buying a stake in your blog are doing so with the expectation of receiving cash flow or a return on their investment. Therefore, they are going to be interested in knowing who is at the helm of affairs. Competence is the next key to successfully raising funds for your blog. Are you an authority in your niche? How consistent has your blog growth been? How do you handle challenges? Can you maintain your cool in the face of problems? These are the type of questions that tends to evaluate your level of competence. Aside the usual business plan and financial statement; investors want to see confidence and competence on the part of the fund seeker. Money follows good management. This statement is the truth in its entirety. Business is a team sport; so also is investing. Show me a blog that raises millions of dollars like Huffington Post, TechCrunch, and Weblogs and I will show a blog ran by a team that know their onions. The primary reason most bloggers will never raise money for their blog is because they are trying to do it alone. Who is on your team? Who runs the daily operations of your blog? This is the most important question investors want an answer to because a strong management team inspires confidence. If these two statements are anything to go by, then a financial statement is a vital requisite; not just for building a successful blog but all businesses in general. Once again I repeat, keep a financial statement for your blog; it’s going to be the foundation of your fund raising adventure. How fast is your growth plan? How long will it take your potential investors to get back their money? The lesser the time your business plan promises to payback investors; the more likely you will get the funds you need. How long will it take blogs like Problogger, ReadWriteWeb, Mashable, ShoutMeLoud and Copyblogger to raise any amount of money they need? It will cost these blogs minimal time and effort to raise any amount they want. Why? The reason is because they are recognized brands in their niches, with good management and worldwide readership. So if you want to increase your chances of raising capital now or in the future, then build a strong brand for your blog. One of the first important steps you must take before starting the process of seeking funds for your blog is to evaluate the value of your blog? How much is your blog worth? There are several tools and parameters on which you can estimate the value of your blog but if you want to get the best result; I will advice you employ the services of a broker/website consultant. Why? The reason you need a website broker to evaluate your blog is to get the job done professionally. A good broker will evaluate your blog for you, tabulate your blog parameters, write a contract sheet or term sheet, identify some weaknesses in your blog, help you identify some potentials in your blog which you can use as a selling point and most importantly; help you through the entire process of the fund raising campaign. How much stake you are willing to give? After estimating the value of your blog, the next step is to sit back and think of how much stake you are willing to let go off. Are you going to sell 20%, 45%, 50% or 70% of your blog? Do you want to raise money for your blog while still retaining control? Or you want to give up control while still holding a stake in your blog? All these questions must be carefully answered before you even write your contract note or term sheet. How much do you intend raising? This is another crucial question you must find an answer to. Do you want to raise $5,000 or $10,000 or $100,000 or a million dollars? Before deciding on how much you want to raise; it’s important you bear in mind that the amount you want to raise is proportional to the estimated value of your blog and the quantity of stake you are selling. What this means in essence is that the higher the value of your blog, the more money you will get and the more number of stake you are willing to sell; the more money you will get. It’s as simple as that. An important but often ignored tool for getting a higher price for your blog is a prospectus. Now a prospectus is not the business plan of your blog; but it may contain some vital information from your plan. A prospectus is a piece of document or brochure containing information that tends to increase your chances of selling your blog. In other words, the job of a prospectus is to arouse the interest of a potential investor/buyer and make such a person want to buy your blog immediately. Now what makes a good prospectus? A well written prospectus should contain a brief overview of what your blog stands for. It should also contain details about your blog’s financial position, its current traffic level and its potential targeted traffic level. Your prospectus should also contain details of your blog’s competitive advantage and its aggressive revenue growth plan. Most importantly, your prospectus should contain a potential plan that will help your investor recoup his investment in less time than stated in your blog’s plan or term sheet. Once this is done, then you have dramatically increased your chance of getting the needed funds for your blog. Do you know anyone that has the potential to invest in your blog? Is there any company with a track record of buying up or investing in websites? If you know of any, then now is the right time to approach them. And if you ever get a chance to pitch an investor, make sure you are polite. Never exaggerate, inflate or hype your blog statistics. Just stick to your plan and keep your presentation brief; except when the investor asks for more in-depth explanation or details. As a final note, I want you to know that raising capital is not only a game of skill; it’s a people’s game. And if you are ever going to sell or raise money for your blog; don’t wait till that time before you start the process. Start now! After all, it wasn’t raining when Noah started building the ark. Good luck. Ajaero Tony Martins is a serial entrepreneur and investor with a passion for teaching people how to start a business. He also known for his common sense advice and tips on investing for beginners.